What is a Commercial Credit Card? Credit cards are payment methods that allow individuals to make purchases, pay bills and conduct other transactions without using cash or check and pay their debt back at a later date, with interest. These cards are not exclusive to individuals; some card companies issue commercial credit cards for businesses and nonprofit agencies. Commercial credit cards function much like standard consumer credit cards, however, they do have some distinct features. Several commercial credit cards offer specialized business-specific statements which allow owners to more easily track their companies' expenses. Additionally, business credit cards helps companies build a corporate credit history, which is separate from owners' individual credit scores. Using a commercial credit card allows a business owner to avoid some of the pitfalls of paying for company items with cash, such as purchasing a defective item or getting scammed by an online supplier. With a commercial credit card, a business owner can issue chargebacks for purchases in which the items he received were not to his satisfaction, allowing her to recover her money. 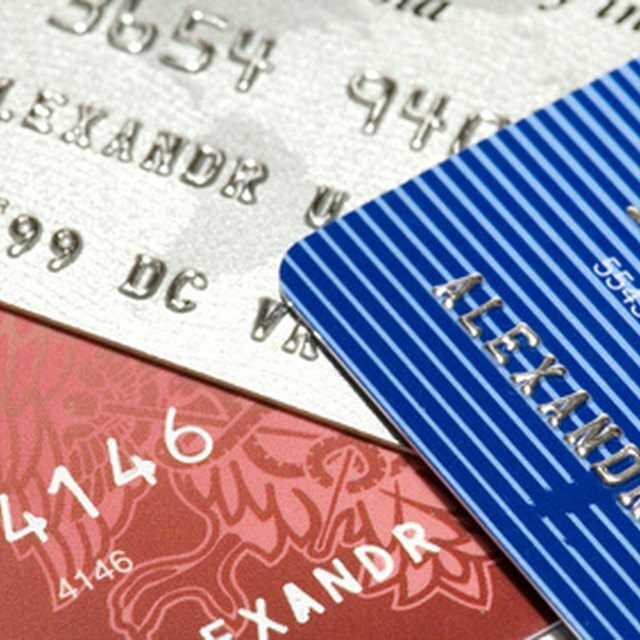 Additionally, like consumer cards, business credit cards often include rewards features, such as airline miles, cash back or purchase discounts. Commercial credit cards also carry a wide range of disadvantages and drawbacks. Unlike consumer credit cards, commercial cards are not subject to the federal CARD act, which limits excessive fees and rate hikes. Additionally, while many consumer credit cards do not charge annual fees, virtually all business credit cards do. Also, commercial credit cards carry higher interest rates than standard cards. To qualify for a commercial credit card, a business must have established a positive corporate credit history. However, business owners with good personal credit histories will usually be able to obtain commercial credit cards for their startup businesses.